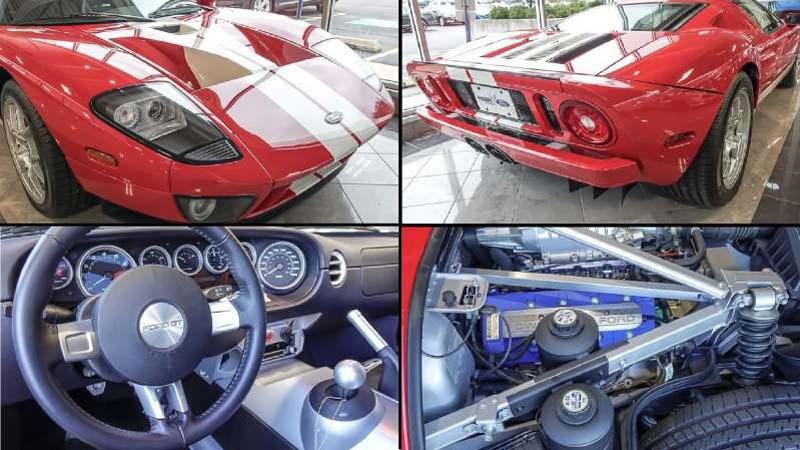 Ever wanted to buy a brand new Ford GT? It’s still not too late – the Blue Oval company is extending the production run of the new supercar by adding 350 more cars through 2022. But now you can also buy a virtually brand new GT from the previous generation of the model. 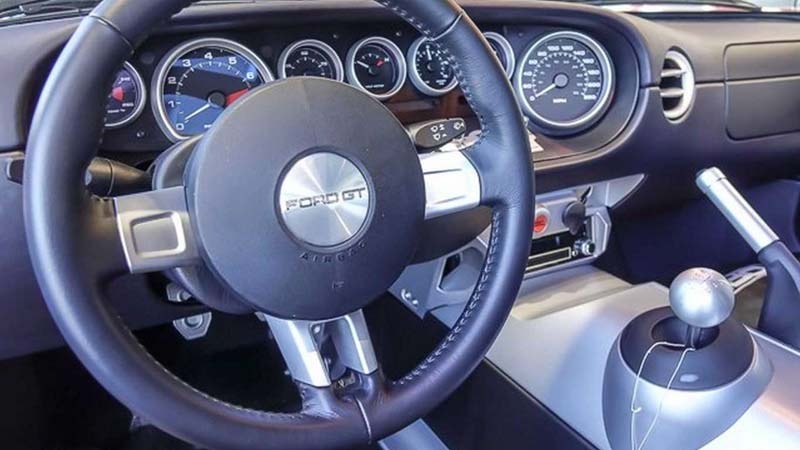 A Ford dealer in Illinois is offering a 2005 GT with just 104 miles (167 kilometers) on the odometer. That’s probably the mileage of the car after it was taken off the assembly lines and driven through the showroom’s halls and parking lots. Maybe a couple of short test drives too, but nothing that can ruin its new car title. The exterior is finished in Red Clearcoat while the interior features a contrasting black leather interior with sports bucket seats. Under the hood is an awesome 5.4-liter V8 mated to a six-speed manual transmission, sending power to the rear wheels. Needless to say, everything looks to be in pristine condition – the leather seats and steering wheel are virtually untouched, and all other interior bits look equally unworn. It also comes with its original information sticker, which reveals a very interesting fact about its price. 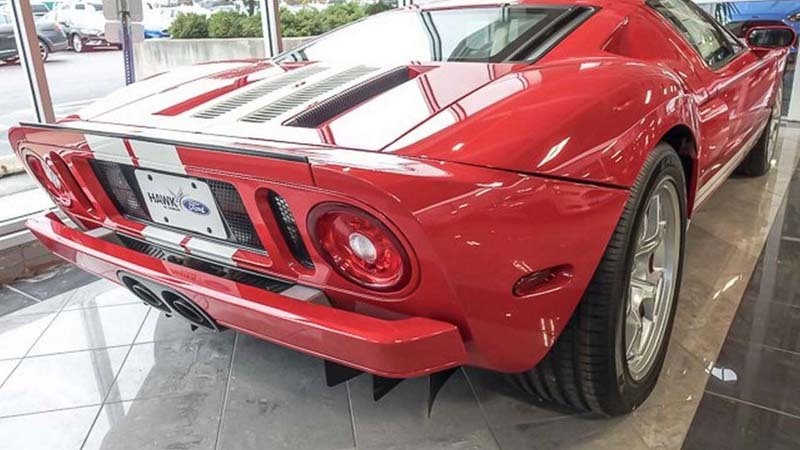 Back in 2005, when this GT was actually brand new, Ford asked $156,595 for it. 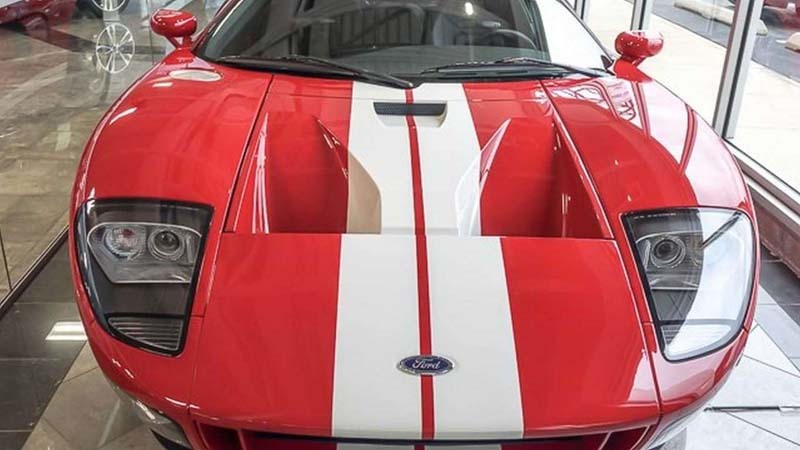 The base price was $139,995, but the single CD player, light forged alloy wheels, red painted brake calipers, and racing stripes, together with a couple of taxes, added almost $17,000 to that price. The seller is currently asking $449,900 for it or more than three times the car’s base price. It’s not a surprise then that some customers are actually buying brand new GTs only as a future investment.